the Concessions Procurement Act (SFS 2016:1147) (CPA). These acts implement the EU directives on public procurement (2014/24/EU) (PPD), utilities procurement (2014/25/EU) (UPD) and the award of concession contracts (2014/23/EU) (CPD). The PPA regulates procurement of public works contracts, public supply contracts and public service contracts. The UPA regulates procurement for entities operating in the water, energy, transport and postal services sectors. The CPA regulates the procurement of service concession contracts and public works concession contracts. Contracting authorities and entities must comply with the PPA, UPA or CPA as applicable, when entering into a contract that is covered by one of these acts. The PPA, UPA and CPA are enforced by the administrative courts, the civil courts and the Swedish Competition Authority. The duties of the Authority include supervising compliance with the PPA, UPA andCPA. This chapter is based on the PPA, UPA and CPA as of March 2018. The Act on Freedom of Choice System (SFS 2008:962) (FCSA) prescribes that freedom of choice systems are an alternative to procurement in accordance with the PPA in the areas of healthcare, medical treatment and social welfare services. According to the FCSA, private individuals are given the opportunity to choose the supplier that he or she considers to be best suited to provide the best quality. The purpose of the FCSA is to give private individuals more influence on which supplier shall perform the services they require. An advantage for private individuals is the opportunity to change supplier if they so wish. It is voluntary for the contracting authorities to introduce a system as prescribed in the FCSA. However, it is mandatory for county councils to use the FCSA when procuring primary healthcare, and for the Swedish Public Employment Service in certain activities concerning immigrants who recently arrived in thecountry. There is also a specific act on procurement in the fields of defence and security (SFS 2011:1029), which implements Directive 2009/81/EC on the coordination of procedures for the award of certain works contracts, supply contracts and service contracts by contracting authorities or entities in the fields of defence and security. Different rules apply for public procurement above and below the European Union (EU) threshold values respectively. For procurement above the threshold values, the PPA, UPA and CPA are mainly based on EU directives and the World Trade Organization’s Agreement on Government Procurement. For procurement below the threshold values, the provisions are national and the EU directives do not apply. These national provisions are also applicable for procurement of social and other specific services (regardless of value). As a general rule, these procurements must be advertised in an electronic database open to the public. competitive dialogue - if a simplified procedure or a selective procedure will not result in the award of a contract (for further details regarding competitive dialogue, see question 22). In addition to these four main procurement procedures, a restricted procedure must be applied when procuring under a dynamic purchasing system below the threshold values according to the PPA and UPA. In relation to procurement below the threshold values according to the CPA, the contracting authority or entity must always comply with the fundamental EU principles. 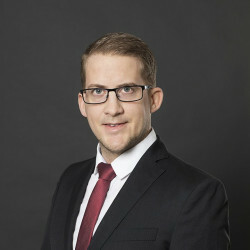 Direct award may be applied if the value of the procurement is 5per cent of the threshold values for procurement of concessions (approximately 2.631million kronor) or less, or if there are exceptional reasons. In June 2017, a government review was announced (Directive 2017:69) that aims to simplify the procurement rules below the EU threshold values and to consider measures in order to decrease the number of court cases regarding public procurement. In accordance with these aims, the review shall propose new legislation and changes to the existing legislation. The results of the review shall be presented no later than 15June 2018. A report was submitted in 2015 (SOU 2015:12) regarding an overview of the procurement remedy system and review proceedings. This report has not resulted in any changes to the legislation. However, certain aspects of this report are to be assessed within the above-mentioned government review, such as the issues of review application fees and an obligation to pay the counterparty’s court costs. In the PPA, UPA and CPA, definitions are set out in order to determine which authorities and entities constitute contracting authorities and entities. The question of whether an authority or entity is a contracting authority or entity is not frequently examined by courts. The Supreme Administrative Court has held that Akademiska Hus (a state-owned company in the real-estate sector) is a contracting authority. Furthermore, the Administrative Court of Appeal has ruled that AB Svenska Spel (a state-owned company mandated by the government to arrange gaming and lotteries under a government licence) constitutes a contracting authority. The Administrative Court of Appeal has ruled that SJ AB (a state-owned passenger train operator) does not constitute a contracting authority. This verdict has been appealed to the Supreme Administrative Court and a review permit has been granted. In June 2017, the Supreme Administrative Court decided to request a preliminary ruling from the European Court of Justice (case no C-388/17). This is the first time that a Swedish court has requested a preliminary ruling in a procurement case. 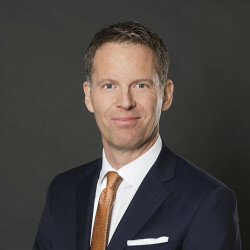 In February 2017, the Stockholm Administrative Court of Appeal ruled that Systembolaget (a state-owned chain of stores that sells alcoholic beverages) does not constitute a contracting authority. This verdict was appealed to the Supreme Administrative Court, but a review permit was not granted. According to the UPA, contracting entities may file an application directly to the European Commission, in order to be granted an exemption under article 34UPD. Regarding Swedish entities, the European Commission has granted two exemptions under article 30of the Directive 2004/17. The first concerns an exemption for the production and sale of electricity (2007/706/EC) and the second decision concerns an exemption for certain services in the postal sector (2009/46/EC). If the value of the modification is below both the applicable threshold value, less than 10per cent of the initial contract value for service and supply contracts (and all concession contracts), and less than 15per cent of the initial contract value for works contracts. In accordance with a clear, precise and unequivocal review clause or option provided in the original procurement documents. The clause or option must state the extent and the nature of the modifications that may be made. Owing to unforeseeable circumstances. For contracts covered by the PPA, and for certain concession contracts covered by the CPA, the value of the contract may not be increased by more than 50per cent of the value of the original contract. In addition, the following amendments and modifications are permitted without a new procurement procedure. (iii) a change of supplier would cause significant inconvenience or substantial duplication of costs for the contracting authority or entity. A modification consisting of a replacement of supplier, if the change is made due to corporate restructuring, including takeover, merger, acquisition or insolvency. The new supplier must fulfil the criteria for qualitative selection originally established. Such a change of supplier must not entail other substantial modifications to the contract. A subcontractor to the original supplier may also succeed into the position of the original supplier, following an agreement between the supplier, the contracting authority and thesubcontractor. With regard to (i), (ii) and (iii), for contracts covered by the PPA, and for certain concession contracts covered by the CPA, the value of the contract may not be increased by more than 50per cent of the value of the original contract. Furthermore, amendments and modifications that are not substantial are always permitted. Following the PPA, UPA and CPA coming into force on 1January 2017, no precedents clarifying the application of the new provisions regarding the amendments of concluded contracts have been established. Privatisation, in which former employees of a contracting authority start a business and perform work they formerly carried out as employees, is not directly regulated in the PPA, UPA or CPA. According to case law, the act of privatisation as such does not require a procurement procedure. The contracting authority’s purchase of services or products from the privatised company, however, requires a procurementprocedure. There is neither a common definition of PPP nor any specific legislation with regard to these types of partnerships in Sweden. However, the PPA, UPA and CPA generally apply to PPP projects. For procurements above the threshold values, the contracting authority or entity must advertise the procurement electronically to the Publications Office of the EU. SIMAP, the EU information system for public procurement, provides an official standard form to be filed. The Publications Office will then publish the advert in the Official Journal of the EU (OJEU) and Tenders Electronic Daily. As a general rule, procurements below the threshold values must be advertised in an electronic database open to the public. Furthermore, a supplier shall be excluded if the supplier is in breach of its obligations relating to the payment of taxes or social security contributions, provided that it has been established by a judicial or administrative decision having final and binding effect. However, if such breach is proved by other means, the supplier may still be excluded. If the supplier has fulfilled its obligations in this regard, or entered into a binding arrangement with a view to payment, the supplier shall not beexcluded. the supplier has undertaken to unduly influence the decision-making process of the contracting authority. Before a supplier may be excluded, the supplier must be granted an opportunity to address the reasons for the potential exclusion. A contracting authority or entity may decide not to exclude a supplier, for overriding reasons relating to the public interest. A contracting authority or entity can set criteria for a minimum level of a supplier’s economical and financial capacity and the supplier’s technical and professional abilities. According to the PPA and UPA, a contracting authority or entity may also require that the supplier retains the right to perform certain professional services. Other qualifications requirements are not allowed. All criteria must be stipulated in the procurement documents and applied in accordance with the fundamental EU principles. In restricted procedures, negotiated procedures with prior publication, competitive dialogues and innovation partnerships in accordance with the PPA and UPA, as well as in procurements covered by the CPA, contracting authorities and entities may limit the number of suppliers that may submit a tender. The selection criteria and the lowest amount of suppliers that will be invited must be stated in the advertisement or the invitation to confirm interest. The number of suppliers invited to submit a tender must be sufficient to ensure that effective competition is achieved. In procurements covered by the PPA, the minimum number of suppliers that must be invited is specified. In a restricted procedure there must be at least five suppliers. In the other above-mentioned procedures, at least three suppliers must be invited. In procurements covered by the UPA and CPA respectively, no minimum number of suppliers is specified. Rules regarding ‘self-cleaning’ are stipulated in the PPA, UPA and CPA. A supplier shall not be excluded if it proves that it is reliable by showing that it has paid or undertaken to pay compensation in respect of any damage caused by the criminal offence or misconduct, clarified the facts and circumstances in a comprehensive manner by actively collaborating with the investigating authorities and taken actual technical, organisational and personnel measures that are appropriate to prevent further criminal offences or misconduct. The measures taken by the supplier shall be evaluated, taking into account the gravity and particular circumstances of the criminal offence or misconduct. The PPA, UPA and CPA state that the contracting authorities and entities shall treat the suppliers equally and without discrimination, and that procurements shall be conducted in a transparent manner. Furthermore, the PPA, UPA and CPA state that procurements shall be conducted in accordance with the principles of mutual recognition and proportionality, and that a procurement must not be arranged with an intention of limiting competition, so that certain suppliers are unduly favoured or disadvantaged. In accordance with the fundamental principles (see question 15), and case law, all contracting authorities are obliged to be independent andimpartial. There are no specific rules on how to deal with conflicts of interest in the PPA, UPA or the CPA. However, the principle of the equal treatment of suppliers is applicable in any situation where there is a conflict of interest. In addition, the provisions regarding conflicts of interest in the Administrative Act and, for some contracting authorities, the Local Government Act is applicable. A person who has a conflict of interest is not allowed to handle the relevant matter. Furthermore, a supplier may be excluded if there is a conflict of interest, provided that there are no other, less adverse, measures that the contracting authority can take in order to ensure the equal treatment of suppliers. If one of the suppliers has been involved in the preparation of the tender procedure, under the PPA and the UPA the contracting authority or entity shall inform all other suppliers of any relevant information that the supplier has received during its involvement in the preparations. The supplier that was involved in the preparation of the procurement may, however, only be excluded if there is no other way to ensure equal treatment. Before a supplier is excluded, the supplier must be given the opportunity to prove that their prior involvement does not distort competition. In accordance with the PPD and UPD, the contracting authority shall ensure that competition is not distorted where a bidder, or an undertaking related to a bidder, has advised the contracting authority or has otherwise been involved in the preparation of the procurement. The government bill regarding the PPA and UPA states that these rules are not necessary to implement, as they follow from the principle of equal treatment. Procurement below the threshold values is the most frequent. The prevailing procedure, concerning procurements that have to be advertised, is the simplified procedure. Regarding procurements above the threshold values, the prevailing procurement procedure is the openprocedure. There are no specific regulations regarding related bidders in the PPA, UPA or CPA. There is no case law stating that related bidders are prohibited from submitting separate bids in one procurement procedure. innovation partnership: this procedure may be used to procure supplies, services or works to meet needs which, according to the contacting authority, cannot be met by solutions already available on the market. The above-mentioned four procedures are applicable also under the UPA. However, the use of negotiated procedure with prior publication and competitive dialogue are not subject to any special conditions in the UPA. The use of negotiated procedure without prior publication is subject to the same conditions as in the PPA (with the exception of the situation where irregular or unacceptable tenders have been submitted). The use of innovation partnership is subject to the same conditions as in the PPA. In procurement under the CPA, negotiations are always permitted. Regarding procedures below the threshold values permitting negotiations, see question 3. In procurements above the threshold values, the procedure used most regularly is the negotiated procedure with prior publication. One reason for this is that the requirements for using the negotiated procedure without prior publication are very restrictive. In procurements below the threshold values, the procedure used most regularly is the simplified procedure. Similarly to the situation above the threshold values, one reason for this is that the requirements for using direct award are very restrictive. The PPA contains relatively detailed rules regarding framework agreements. A framework agreement is defined in the PPA as an agreement entered into by one or several contracting authorities and one or several suppliers with the aim of establishing the terms of contracts to be awarded during a certain later time period. A framework agreement may only be used by those contracting authorities clearly identified for this purpose in the documents for the procurement leading up to the framework agreement. The term of a framework agreement can, as a general rule, not be longer than four years. If a framework agreement is entered into with one supplier, the general rule is that the conditions cannot be amended when contracts are awarded. However, minor amendments can be accepted if they are specifications in relation to the conditions. If a framework agreement is entered into with several suppliers, two different methods for contract awards are available. If all terms for contract awards are established in advance, a distribution key must be set up with objective conditions for determining which supplier shall be awarded the contract (for example, a ranking order). If all terms for contract awards are not established in advance, the suppliers are invited to file a new ‘mini-tender’ based on the first tender (renewed competition). A combination of these two methods for contract awards is also possible. The rules of the PPA regarding framework agreements are also applicable on procurement below the threshold values and procurement of social and other special services. The rules of the UPA regarding framework agreements are not as detailed as those of the PPA. The term of a framework agreement can, as a general rule, not be longer than eight years. Contract awards must be based on objective conditions, set out in the procurement documents. The use of a renewed competition is also available. See question 23regarding framework agreements with several suppliers. The conditions under which consortium members may be changed have not been regulated in the PPA, UPA or CPA. However, an Administrative Court of Appeal has ruled that - under the PPA - it is not allowed to pre-qualify a group of consortium members and thereafter allow one of the members in the consortium to file a tender, if such member did not fulfil the requirements at the time for the pre-qualification. Approximately 99per cent of all enterprises in Sweden are small or medium-sized enterprises (SMEs). The principle of equal treatment implies that a contracting authority or entity is neither allowed to favour nor to disfavour a company because of its size. Consequently, the contracting authority or entity is not allowed to treat SMEs differently in relation to other market performers. In order to facilitate the participation of SMEs, procuring authorities and entities are allowed to divide a contract in several lots. If a contract is not divided, the contracting authority or entity must provide the reasons for that decision. There is no established case law on how many lots a supplier can be awarded. However, the contracting authority or entity will have the authority to limit the number of lots a supplier can be awarded and how many lots for which a supplier may submit atender. Another rule intended to facilitate the participation of SMEs concerns minimum yearly turnover. If the contracting authority or entity stipulates in the procurement documents that suppliers are required to have a certain minimum yearly turnover, such turnover must not exceed two times the estimated contract value, except in duly justifiedcases. According to the PPA and UPA, a contracting authority or entity may authorise or require tenderers to submit variant bids, if such bids fulfil the minimum requirements laid down by the authority. The contracting authority or entity shall state in the procurement documents the minimum requirements to be met by the variant bids, any specific requirements for their presentation, and whether variants may only be submitted if the bidder has also submitted a tender which is not avariant. The contracting authority or entity must take variant bids into account, if this is indicated in the procurement documents. In the procurement documents, the contracting authority or entity is required to specify which requirements the bidder must fulfil. If such requirements are not met the bid must be declined. In general, the terms of the contract shall be part of the contract documents. The terms are thereby a requirement that bidders cannot change by submitting their own standard terms of business. There are cases in which the administrative courts have ruled that a bid cannot be accepted owing to the fact that the supplier has attached its own terms of business that contradict the tender specifications. According to the PPA and UPA, a contracting authority or entity shall accept the tender that is economically most advantageous. The assessment of the most economically advantageous tender shall be based on the best price-quality ratio, cost or price. The assessment of the best price-quality ratio shall be based on criteria connected to the subject matter of the public contract (such as quality, organisation and experience). The assessment of cost shall be based on an assessment of the effects of the tender in terms of cost efficiency, such as an analysis of life-cycle costs. The contracting authority or entity shall, when evaluating the best price-quality ratio or cost, specify in the procurement documents the relative weighting that it gives to each of the criteria chosen to determine the most economically advantageous tender. The criteria may be weighted within intervals, with a suitable largest allowed range. The government bill regarding the PPA and UPA contains the following example of a suitable largest allowed range: 60to 70per cent for criterion one, and 30to 40per cent for criterion two. If weighting of the criteria is not possible, the contracting authority or entity shall indicate, in the procurement documents, the criteria in order of priority. According to the CPA, the award criteria shall be linked to the subject matter of the concession. Furthermore, the criteria must ensure that tenders are assessed in conditions of effective competition, and shall not confer an unrestricted freedom of choice on the contracting authority or entity. The award criteria shall be listed in descending order of importance. When determining the award criteria the contracting authority or entity must always comply with the fundamental EU principles. There is no general definition of an ‘abnormally low’ bid in the legislation. The contracting authority or entity has to determine if a bid is abnormally low based on the circumstances of the procurement. Under the PPA and UPA, a contracting authority or entity must request an explanation from a supplier, if the bid appears to be abnormally low. A request for an explanation may relate to details, such as the use of especially cost-effective methods to execute the contract, and technical solutions or any exceptionally favourable conditions available to the tenderer for the execution of the contract. The contracting authority or entity shall reject an abnormally low bid, if the supplier in question has not submitted satisfactory explanations for the low tender. The bid must also be rejected if it is abnormally low because it does not comply with provisions relating to environmental, social and labour law. If the contracting authority or entity finds that the bid is abnormally low due to the supplier obtaining state aid, the supplier must be given a reasonable amount of time to show that the state aid is compatible with the TFEU. If the supplier fails to show such compatibility, the bid must be rejected. In 2016, the Supreme Administrative Court rendered two decisions regarding the application of the regulations concerning abnormally low tenders. In one decision, the Supreme Administrative Court stated, among other things, that the offering of negative prices regarding a few out of many price positions (ie, prices that stipulate a payment to the contracting authority) was considered an abnormally low bid, but since the explanations provided by the bidder were satisfactory, the bid was not to be refused. In the other decision, the Supreme Administrative Court held that two bids submitted by related bidders (from the same group of companies) in a procurement of a framework agreement were to be refused as abnormally low. The main reason was that the bidders had constructed their bids in such a way that one bidder could refuse to accept a call-off contract, in order for the other related bidder - that had offered higher prices for the services covered by the call-off contract at hand - to be offered the call-off contract instead. There are no rules concerning abnormally low bids in the CPA. During an ongoing procurement procedure, a supplier who has been, or risks being, harmed may apply for review of the procurement to an administrative court (regarding time limits, see question 37). The administrative court may order that the procurement procedure must be recommenced, or that the procedure may not be concluded until corrections have been made. If a contract has been concluded, a supplier can apply for review of the effectiveness of the contract (also to an administrative court). The administrative court may then declare the contract ineffective in certain situations, such as in cases where the conclusion of the contract was preceded by an unlawful direct award (see question 44). An appeal against the decision of the administrative court can be lodged with the Administrative Court of Appeal. Rulings of the Administrative Court of Appeal can be appealed to the Supreme Administrative Court. A review permit is required for judicial review in the Administrative Court of Appeal and in the Supreme Administrative Court (SAC). An appeal to the Administrative Court of Appeal or to the Supreme Administrative Court does not have an automatic suspensive effect. However, the courts can instead render an interim decision pending the final decision, prohibiting the contracting authority from concluding the contract until further notice. If a supplier considers it has been treated incorrectly, it can appeal to the European Commission or turn to the Swedish Competition Authority. The Swedish Competition Authority only reviews cases that are of general or principle interest. The Swedish Competition Authority may apply to an administrative court for a contracting authority to pay a procurement fine, between 10,000and 10million kronor. However, the fine may not exceed 10per cent of the contract value. Only the administrative courts may rule on a review application. It depends, among other things, on the complexity of the case and the workload of the relevant administrative court. In general, the review proceeding in an administrative court takes less than five months perinstance. An administrative court can review an application from a supplier that is of the opinion that it has been, or risks being, harmed as a consequence of the contracting authority’s or entity’s infringement of the PPA, UPA or CPA. In a case decided in November 2017, the Supreme Administrative Court stated that a supplier only has the right to a court review of a procurement if the supplier has an interest in being awarded the contract in the procurement. A review application shall be made to the administrative court in whose judicial district the contracting authority or entity is based. The contracting authority or entity is prohibited from entering into a contract within either 10days (if the notification of the award decision was made electronically) or 15days (if the notification was not made electronically) from the contract award decision (the standstill period). The period for a supplier to submit a review application to an administrative court corresponds with the standstill period. If a supplier applies for review to an administrative court, the standstill period is automatically prolonged. The decision of an administrative court can be appealed (see question 33). An application for review of the effectiveness of a contract must, as a general rule, be brought before the administrative court no later than six months after the contract has been concluded (see question44, concerning ex ante transparency). A review application to an administrative court has an automatic suspensive effect, blocking the conclusion of the contract. The administrative court may decide, normally following a request from the contracting authority or entity, that the automatic suspension shall be lifted. However, lifting of the automatic suspension only occurs in exceptional cases. It is very unusual that the automatic suspension is lifted (see question38). However, there are no official statistics available in thisregard. When the decision concerning the winning tender has been rendered, the contracting authority or entity shall inform every candidate or tenderer of the decision and the grounds for the decision. The contracting authority or entity must also state the duration of the standstill period. Such information shall be given in writing and immediately or as soon as possible to each bidder. The information given should be of enough substance for the bidder to have a fair chance of invoking its right in a review proceeding. If the contracting authority or entity is subject to the principle of public access to official records (ie, if the authority constitutes a government, local or other authority, decision-making body, county council or company owned by a county or local authority) all documents regarding the procurement are, as a general rule, public official documents after the notification of the award decision or after all the tenders have been made public. If the documents are requested, the contracting authority must, without delay, determine whether some of the information in the documents is confidential according to the Public Access to Information and Secrecy Act. Confidential information may not be disclosed. Government-owned or private companies that constitute contracting authorities or entities do not normally fall under the principle of public access to official records. These companies are, however, governed by the provisions of the PPA, UPA and CPA relating to information (see question 40). Furthermore, in accordance with the PPA and UPA, a contracting authority or entity must - at the request of a supplier - grant access to contracts which have a value of at least €1million (in the case of public supply or services contracts) or €10million (in the case of public works contracts). In these cases, similar conditions regarding secrecy apply, as is the case for contracting authorities and entities that fall under the principle of public access to official records. Approximately 18,000to 20,000public procurement procedures with advertisements are conducted annually. In 2015, almost 3,000cases were registered by the administrative courts regarding review applications filed by disadvantaged bidders, and in 2016the number rose to almost 4,200applications. These statistics include procurements that have not been advertised. A supplier who is of the opinion that it has suffered damage due to a violation of procurement law can claim damages from the contracting authority in a district court. Rulings in these cases can be appealed to the court of appeal and eventually to the Supreme Court. A review permit is required for judicial review in the Supreme Court. The right to claim damages exists regardless of whether a violation of procurement law has been established in an administrative or judicial review proceeding. Actions for damages are to be brought before the district court within 12months of the conclusion of a contract. If this period is exceeded, the right to damages will be forfeited. Even if a contract has been concluded, a supplier can apply to an administrative court to review the effectiveness of the contract. A contract may be declared ineffective if the conclusion of the contract was preceded by an unlawful direct award. A contract may also be declared ineffective in certain other situations, such as if it has been concluded in contravention of a standstill period, a prolonged standstill period or an interim decision by court. If there are imperative reasons regarding a public interest, a court may decide that the agreement shall remain in effect, even if the criteria for declaring the contract ineffective are met. Contracting authorities or entities may in certain situations (eg, in the event of a direct award), announce in advance that they intend to use a direct award procedure by using a notice for ‘ex-ante transparency’. If the contracting authority or entity then observes the applicable standstill period, and has stated valid reasons for a direct award procedure in the notice, the contract cannot be declared ineffective. It is not unusual for the courts to declare a contract ineffective, but there are no official statistics available in this regard. There is no application fee for submitting a review application to the administrative court. The costs of a review application case depends to a large extent on whether or not the supplier uses external legal counsel. However, it is not possible to make a general estimation of such costs, as they depend on many different factors specific to eachcase. The Swedish procurement legislation for contracts not covered by the EU directives (among other things, contracts below the EU threshold values) corresponds to the EU directives to a large extent. A result of this is that the Swedish procurement legislation goes beyond what is required by the EU. The pros and cons of this solution has been debated and discussed in Sweden for a long time. In June 2017, a government review was announced which, among other things, aims to simplify the procurement rules below the EU threshold values. Another aim of the review is to propose new rules in order to decrease the number of review applications. 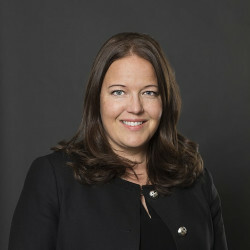 Consequently, the Swedish legislation may, in the near, future undergo considerable changes regarding procurements below the EU threshold values, and also when it comes to certain aspects of the remedies legislation.